Commercial surveys are usually requested prior to construction projects. It is important for developers to understand, ahead of time, which trees should be preserved, retained, or removed. 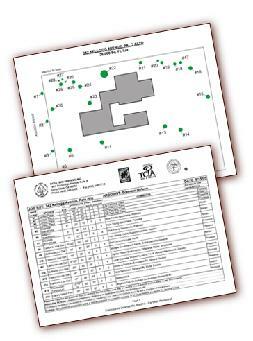 Arborists at BTS address these issues using a standardized survey method. Each tree is first identified as to species. The diameter of the trunk is then measured at 48" above grade level. They approximate the height and spread of each tree in feet, and then evaluate the health and structure using a scale where 1 = poor, 3 = fair, and 5 = excellent condition. They note relevant observations and assess the trees suitability for preservation. Tree locations are then recorded on a site map. Often times, trees are tagged with a numerically coded tag. On the resulting survey, trees that are listed as Preserve, are most suitable for preservation within a new development. They must be carefully chosen to make sure they are healthy enough to survive the impact of imposing construction. They must also be free of structural defects that cannot be corrected, and have the ability to adapt to new environments. Trees that are listed as Retain, have moderate suitability for preservation and are worthy of keeping, but may or may not be appropriate depending on developmental plans, site disturbance, etc. Removal or preservation would be at the discretion of the Architect and the City Arborist. Trees that are listed as Remove, are not suitable for preservation. Poor health, structural defects, and high-risk species are examples of determining factors. 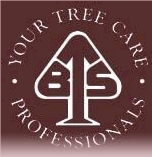 A Tree Protection Zone is then defined. The distance just outside the canopy of the tree, or ten times the Diameter at Breast Height (DBH) is usually recommended. Trees preserved on sites that are subject to extensive root injury during construction become a liability rather than an asset. Restricting activity in the Tree Protection Zone can minimize negative impacts to trees.